Longford Castle is a fine Elizabethan country house, home to a world-class collection of art built up in the eighteenth and nineteenth centuries by the Bouverie family and still owned today by their descendants. Until now, it has been relatively little known amongst the pantheon of English country houses. This book, richly illustrated and based on extensive scholarly research into the family archive, tells a comprehensive story of the collectors who amassed these treasures. It explores the acquisition and commission of works of art from Holbein's Erasmus and The Ambassadors, to exquisite landscapes by Claude and Poussin, and family portraits by Thomas Gainsborough and Sir Joshua Reynolds. 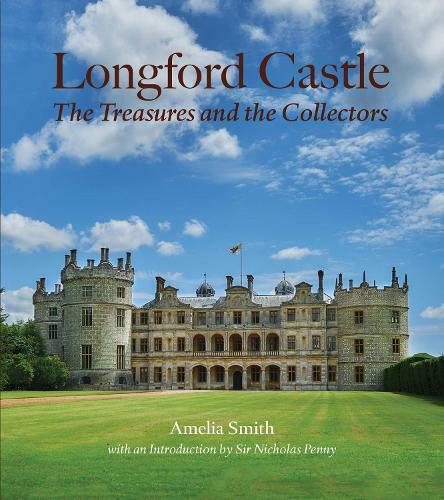 It explores how Longford, an unusual triangular-shaped castle that inspired Sir Philip Sidney's Arcadia and Disney's The Princess Diaries, was decorated and furnished to house these works of fine art, and how the Bouverie family patronised the best craftsmen and furniture makers of the day. The book brings the story up to the present day, with an introduction and conclusion by the current owner, the 9th Earl of Radnor, himself a keen collector of art, to celebrate this remarkable house and collection in the tercentenary year of its purchase by the Bouverie family.